George Trepal and his wife moved into their home in Alturas, Florida during the early 1980s. Parealyn and Peggy Carr married in 1988, and Peggy Carr moved into the Parealyn’s home, which was located next to Trepal’s home. Travis Carr, Parealyn’s son, and Duane Dubberly, Peggy’s son, also resided at the Alturas residence. In 1988, Parealyn Carr renovated their garage into an apartment, where his daughters, Delena Shiver and Tammy Reed, and his granddaughter, Kasey Bell, resided. Trepal and the Carrs were involved in a number of altercations, including one incident in which Trepal threatened to kill one of the Carr children. The Carrs also received an unsigned letter threatening harm to their family if they did not leave Florida. In October of 1988, Peggy Carr began to suffer from a mysterious illness. She was admitted to the hospital and remained there for several days before being discharged. After discharge, Peggy’s condition worsened, and she was readmitted to the hospital. Travis Carr and Duane Dubberly also exhibited similar symptoms and were transported to the hospital. Dr. Hostler suspected thallium poisoning based on the symptoms displayed. Within one day, thallium poisoning was confirmed. Peggy Carr’s condition worsened, and she fell into a coma. She died when life support was disconnected in March of 1989. Travis Carr and Duane Dubberly remained in the hospital for treatment of thallium poisoning. Further testing revealed the presence of thallium in other family members, including Gelena Shiver, Kasey Bell and Parealyn Carr. In November of 1989, officials collected samples from the Carr household in an attempt to determine the origin of the thallium. Tiller tested the residue in several empty Coca-Cola bottles retrieved during the collection of samples. Thallium was detected in the Coca-Cola bottles. The lot numbers of the cola bottles allowed police to trace when and where the bottles were produced. Officials determined that it was impossible for eight bottles containing thallium to end up being packaged together. Coca-Cola officials claimed that they had not received any other reports of poisoning or threats related to tampering with their product. In June of 1988, the Carrs received a letter threatening that they would all die if they did not leave Florida immediately. The letter was unsigned. The prosecution linked Trepal to the threatening letter that the Carrs had received because of comments he made during a police interview. When officials inquired into why Trepal thought someone would poison the Carrs, he told them to get them to move out. Trepal claimed that he accompanied his wife to the office every day. However, the police determined that he either stayed at home or went to his own office each day. Thus, Trepal had the opportunity to enter the Carrs’ residence because they did not always lock their doors upon leaving the residence. Also, Trepal had worked as a chemist in an amphetamine laboratory. Thallium was a by-product of amphetamine production. In 1975, Trepal was convicted of conspiracy to manufacture methamphetamine. In order to further investigate Trepal, Special Agent Susan Goreck went undercover. She attended a “Mensa Murder Weekend” that Trepal’s wife organized under the name of Sherry Guinn. Trepal wrote a pamphlet for the weekend that described writing a threatening note and then poisoning the recipient of the note. During this weekend, Goreck had contact with Trepal and learned that he was selling his Alturas residence and was moving to Sebring, Florida or to Virginia. Goreck arranged to rent Trepal’s home after he and his wife moved. After paying the rent in money orders, Goreck and a search team went to the home. In the garage, the investigators found a bottle containing powdered thallium. After the discovery of thallium, Trepal was charged with seven counts of poisoning. A subsequent search of Trepal’s Sebring home in April of 1989 turned up chemistry books and equipment, including information about poisons. Officials also found the Agatha Christie novel Pale Horse, which described using thallium to poison people in a household. Finally, the police found a bottle-capping machine that could be used to replace the bottle caps of Coca-Cola bottles after the cap was removed to introduce the poison into the drink. George Trepal was sentenced to death in Polk County on March 6, 1991. Twenty years ago Sunday, George James Trepal stood silently and with no expression as Circuit Judge Dennis Maloney sentenced him to die for poisoning his neighbor. For 20 years he's maintained he had nothing to do with the death of Peggy Carr. For 20 years he has filed appeals and motions, all of which have been returned with the same decision: Denied. Trepal, now 62, has an appeal pending before the federal 11th Circuit Court of Appeals in Atlanta. If that's denied, he can go to the U.S. Supreme Court, but that's his last option. So Trepal, who has been on death row longer than any of Polk's current roster of condemned murderers, waits.So does Duane Dubberly, who wishes every day that his late mother could know his wife and could see he's turned his life around. So does Gelena Dubberly Kent, whose son will never know his grandmother. So does Pye Carr, who's ready to witness the lethal poison flow into Trepal's veins for murdering his wife and leaving his son near death. "I still want to be there when he's executed," Carr said, "but I don't have anything to say to him. I don't think I could control myself if I was to talk to him." And as much as Carr's family is convinced of Trepal's guilt, Stewart Prince of Auburndale remains steadfast about his friend's innocence. "George is not the sort of person who would do that," said Prince, who has visited Trepal monthly at Union Correctional Institution in Raiford. "I've never known him to be anything approaching violent. A few years ago, somebody beat him up on the exercise yard, and he just stood there." It took 41-year-old Peggy Carr four grueling months to die. Her family thought she had a stomach bug in October 1988, so they continued giving her Coke from the eight-pack of bottles in the carport of their house in rural Alturas, southeast of Bartow. When her stepson, Travis Carr, then 16, and her son, Duane, 17, came down with similar symptoms, the family assumed the bug was making the rounds. But Carolyn Dixon, a nurse and Pye Carr's sister, knew something was terribly wrong. She took her sister-in-law to the hospital, where Winter Haven neurologist Dr. Richard Hostler discovered thallium, a poison once used to kill rodents, in her system. Testing on the boys turned up enough thallium to keep them hospitalized for months as Peggy slipped into a coma. Doctors found insignificant traces of the poison in Pye Carr and his daughter, Tammy, and Peggy's daughter, Gelena, and 2-year-old granddaughter, Kacy. After ruling out contamination in the family's well water in Alturas, detectives uncovered thallium in the family's soda. The case quickly evolved into an attempted murder investigation. On March 3, 1989, when Peggy Carr was removed from life support and died, it became a homicide. As Polk County sheriff's detectives questioned neighbors, the quirky 42-year-old chemist and computer programmer who lived behind the Carrs made several odd comments that gave them pause. George James Trepal inched onto their radar. He and his wife, Diana, frequently complained because the Carrs' dogs chased their cats, and the teenagers played their music too loudly. When asked by investigators why someone would want to poison his neighbors, Trepal said the poisoner must have wanted the Carrs to move away. His comment was eerily similar to an anonymous typed note left at the Carr house a few months earlier, warning them to move away or they all would die. They found Trepal had spent 2 1/2 years in a Connecticut prison in the 1970s for his role as the chemist in a methamphetamine lab. Thallium is a byproduct of that process and had been used in rat poison before it was banned two decades earlier. Authorities began watching Trepal. He generally kept to himself, but often spent weekends with friends in Mensa, a group for those with IQs in the top 2 percent nationally. Trepal and his wife frequently hosted murder mystery weekends, where Mensa members staged murders and others in the group sought to solve the caper. With their investigation stalling, Polk County Sheriff's deputies decided to send one of their own into Mensa to befriend Trepal, hoping he would confide any involvement he had in the poisoning. Trepal and Deputy Susan Goreck, masquerading undercover as Sherry Guinn, became fast friends, but he never confessed to poisoning his neighbors. In a strange twist, though, in December 1989, Trepal rented his Alturas house to Guinn to ''help her escape an abusive husband.'' Trepal and his wife were moving to Sebring. The day Trepal handed her the keys, officers scoured the house and grounds. In a detached garage, they discovered a small bottle containing residue of thallium nitrate. It became the evidence that linked Trepal to the poisonings next door. Investigators found still more in ensuing months. While at Clemson University in South Carolina when he was in his 20s, Trepal became convinced students were sneaking into his dorm room when he wasn't there, so he coated his doorknob with hallucinogens that seep into the skin to teach the perceived trespassers a lesson. On a cross-country trip a few years later, he and a friend fed drug-laced brownies to hitchhikers just to witness their reactions. Armed with a sealed indictment, authorities arrested Trepal at his Sebring home in April 1990. Eight months later, Assistant State Attorney John Aguero rolled out four weeks of witnesses and evidence to a jury of eight men and four women. He described Trepal as a diabolical killer who perceived himself smarter than the police. Bartow lawyer Wofford Stidham and his son, Jonathan, didn't present a defense, relying instead on their cross-examination of state witnesses and arguing that authorities had the wrong man. In his closing statement to the jury, Aguero outlined a series of events that all would have to be coincidences for Trepal to be innocent. The jury came back about six hours later, finding him guilty on 15 counts, including first-degree murder, attempted murder, poisoning and product tampering. The same 12 jurors recommended 9-3 that Trepal should die for the murder of Peggy Carr, and Circuit Judge Maloney sentenced him to death March 6, 1991, three days after the second anniversary of Carr's death. Mike Monnin was among those jurors. "I've never doubted that the jury made the right decision," said Monnin, who now lives in Bowling Green. "I was one of the last ones to roll over. To me, it was his journals that convicted him." Trepal's journals described ways poison could be used to kill someone and listed those that can't be detected in an autopsy, including thallium. "He wrote about it, then he did it," Monnin said. James Pietrocini, another juror, said he still thinks about the trial, but never questions his decision. "He was guilty," he said. "No doubt." Coila Hales, a retired elementary school teacher, said she prayed about her decision while serving on the jury. "I didn't make up my mind until the end, when we started deliberating," she recalled. "There's one thing I've never forgotten. When we announced him guilty, he looked at the jury and he smirked. There were jurors in tears over this, and he smirked at us. I just assumed he was smug about the whole thing and thought he would get away with it." The Florida Supreme Court upheld Trepal's conviction and sentence in 1993, and the U.S. Supreme Court refused to reconsider that decision a year later. In 1997, the federal Office of Inspector General issued a scathing report detailing problems in the FBI's crime lab, citing its handling of evidence in the Trepal case as an example of its shoddy work. That triggered a series of appeals that took years to consider, but each court came to the same conclusion: Judges condemned the lab's actions and disqualified the FBI agent's testimony, but said independent testing of the evidence revealed identical results to the FBI's findings. Even without the agent's testimony, the judges agreed, there was sufficient evidence to convict Trepal. His appellate lawyer, Todd G. Scher in Miami, is still appealing that issue, and is awaiting a ruling from the 11th Circuit Court of Appeals now. "The FBI crime lab is one of the more significant issues raised in this appeal," Scher said, "and we're just getting started in this process. We still have to file briefs, and there will be oral argument." Scher said he anticipates it will take the court several months to rule on the appeal. Jennifer Krell Davis, deputy communications director for the state Attorney General's Office, said issues with the FBI crime lab have contributed to delays in Trepal's appeals, but so have the scientific elements of the case. "The unique method of killing required extensive investigation and presented scientific issues that became even more critical in post-conviction," she said. If the 11th Circuit denies Trepal's appeal, Davis said, he can ask the U.S. Supreme Court to consider his case. He would have no appellate options beyond that, she said. Death row inmates in Florida spend an average 12.7 years awaiting execution, according to the state Department of Corrections. Trepal passed that milestone nearly eight years ago. But he's far from having the longest tenure on death row. Gary Alvord, condemned to death for murdering three Hillsborough County women in 1973, has been there since 1974. In Polk, Paul Beasley Johnson initially was sentenced to death in 1981 and again in 1988 for a night-long killing spree in January 1981 that left Polk County Sheriff's Deputy T.A. Burnham dead. In January 2010, the Florida Supreme Court overturned his death sentence and ordered the Circuit Court in Bartow to hold a new sentencing hearing, which removed Johnson from death row. No date has been set for that hearing. Stewart Prince said his friend spends his days reading books and writing letters. "He does a pretty good job of having something to do," he said. "He's still trying to keep a good mind. He does lament that there are very few people on his wing who are anywhere near his level of education or intellect." Trepal's wife divorced him in 1996, according to court records in Highlands County. In the last decade, Prince and his wife, Sue, are the only names on Trepal's visitation list, prison records show. Prince, who's also in Mensa, said he met Trepal through the group a few years before Carr died. Trepal is among 394 inmates on Florida's death row, including 14 from Polk County. He lives in a 6-foot by 9-foot cell without air conditioning. He eats his meals there. He showers every other day, and could go to the exercise yard twice a week for three hours at a time, but prison records show he generally declines to go. The state allows him to have a 13-inch television in his cell, which he had to buy himself, but his options there are limited. Inmates don't get cable. Prince said he often has books sent to Trepal from online booksellers. Prison rules prohibit him from sending them directly. "He also gets books through the prison system library," he said. Trepal continues to profess his innocence, Prince said, and holds no animosity for those who sent him to prison. "He's a nice guy and didn't do this crime," he said. "Why would he? There was no reason for him to kill those neighbors. He was moving away, so why kill his neighbors just before he leaves? It makes no sense." The 3.850 Appeal filed on 01/15/97 was pending for more than 6 years prior to be affirmed. Trepal filed his Direct Appeal in the Florida Supreme Court on 04/02/91. The issues addressed included that the trial court wrongly admitted evidence, that defense counsel was ineffective, that the evidence was insufficient for a First-Degree Murder conviction and that the death penalty was not appropriate. The Florida Supreme Court did not find errors that warranted reversing the conviction or sentence and affirmed the conviction and sentence on 06/10/93. Rehearing was denied on 08/23/93. A mandate was issued on 09/22/93. On 11/22/93, Trepal filed a Petition for Writ of Certiorari in the United States Supreme Court. The petition was denied on 01/18/94. Trepal filed a 3.850 Motion in the Circuit Court on 06/16/95. The motion was denied on 11/06/96. On 01/15/97, Trepal filed a 3.850 Appeal in the Florida Supreme Court. The issues addressed included that there was not adversarial testing during the guilt or penalty phase by the defense, his attorney had conflicts of interest, and that juror misconduct occurred. The case was remanded to the trial court for an evidentiary hearing, which was held on 02/11/99. The evidentiary hearing was reconvened on 07/06/00. The Florida Supreme Court affirmed the appeal on 03/06/03. Rehearing was denied on 05/15/03. A mandate was issued on 06/16/03. Trepal filed a 3.850 Motion in the Circuit Court on 10/10/97. The motion was denied on 11/17/98. On 10/15/01, Trepal filed a Petition for Writ of Habeas Corpus in the Florida Supreme Court. The issues addressed included that the trial court erred in allowing testimony based on hearsay. Trepal furthered argued that he received ineffective assistance of counsel. The petition was denied on 03/06/03. The rehearing was denied on 05/15/03. A mandate was issued on 06/16/03. Trepal filed a Petition for Writ of Habeas Corpus in the Florida Supreme Court on 06/23/03. The petition was denied on 11/14/03. The rehearing was denied on 05/04/04. Trepal filed a Petition for Writ of Certiorari in the United States Supreme Court on 08/13/03. The petition was denied 10/14/03. On 10/20/04, Trepal filed a Petition for Writ of Habeas Corpus in the Florida Supreme Court. On 12/06/04, the petition was denied. On 08/17/05, Trepal filed a Petition for Writ of Habeas Corpus in the United States District Court, Middle District. The petition was denied on 06/15/10. A Motion to Alter Judgment was filed on 07/13/10, and it was denied on 10/18/10. A Motion for Certificate of Appealability was filed on 11/16/10. Trepal filed a Habeas Appeal in the United States Court of Appeals, 11th Circuit on 11/16/10. This appeal is currently pending. In today's Eleventh Circuit Court of Appeals opinions, the court AFFIRMED the district court's DENIAL of Trepal's 28 U.S.C. � 2254 petition for a writ of habeas corpus. The 11th Circuit Court of Appeals in Atlanta has denied condemned murderer George James Trepal's latest appeal of his 1991 conviction and death sentence for poisoning his neighbors in Alturas. With this denial, Trepal is nearing the end of his appeals. His lawyers can ask the U.S. Supreme Court to review the 11th Circuit's decision, but the high court is under no obligation to do that. If the Supreme Court declines to hear the case or rejects his appeal, Trepal will have exhausted all his appeals, said John Lucas, spokesman for the state Attorney General's Office. Chip Thullbery, chief prosecutor for the State Attorney's Office in Bartow, said the state Parole Commission would initiate a clemency review at that point, and if clemency is not granted, Trepal would be eligible for the governor to sign a death warrant. Todd Scher, a Miami lawyer representing Trepal, couldn't be reached for comment Wednesday. Appellate lawyers for Trepal, 63, had argued that he deserved a new trial because evidence in his case wasn't handled properly, based on a 1997 federal report criticizing the testing of evidence in the FBI's crime lab. The report specifically questioned a secondary round of testing on Coca-Cola bottles in the Trepal case. Initial testing already had confirmed that the cola had been laced with thallium, an odorless, tasteless chemical used in rat poison, according to evidence in the trial. Trepal was convicted of tainting his neighbors' cola with the deadly poison, leading to 41-year-old Peggy Carr's death. Since Trepal was convicted, trial and appellate courts routinely have rejected his appeals, stating that the second testing, on its own merit, wouldn't have impacted the verdict against him. In its 72-page opinion issued Tuesday, a panel of three judges with the 11th Circuit ruled that the U.S. District Court in Tampa was correct in June 2010 when it denied Trepal's appeal for the same reason. Trepal has remained on Florida's death row since his sentencing March 6, 1991, and he's continued to maintain his innocence. The case dates to late 1988, when members of the Carr family began falling ill for reasons that doctors couldn't explain. A Winter Haven neurologist, Dr. Richard Hostler, admitted Peggy Carr to the hospital and discovered she had ingested thallium. Her son, Duane Dubberly, and stepson, Travis Carr, fell gravely ill as well, but recovered after weeks in the hospital. Five months after drinking the Coca-Cola, Peggy Carr died in March 1989 when her family removed her life support. Trepal, a chemist and member of the Mensa organization for those with high intelligence, was arrested in April 1990 following an 18-month investigation in which a Polk County Sheriff's deputy went undercover and befriending him. Though he never confessed to the murder, Trepal provided enough information for authorities to confirm his involvement, and he gave the undercover deputy access to his house. A search of Trepal's garage uncovered a bottle containing a small amount of thallium, which had been pulled from store shelves years earlier because of the hazards it posed. After a month of trial testimony in January 1991, a Circuit Court jury deliberated about six hours before finding Trepal guilty of first-degree murder, six counts of attempted murder, seven counts of poisoning food or drink and one count of tampering with a consumer product. The jury voted 9-3 to recommend that he should die for the murder conviction, and Circuit Judge Dennis Maloney followed that recommendation. i remember hearing about this case back in the 1990's so after the SCOTUS denies him how long would it be until the date is set? There is no telling. Florida has over 50 death row inmates at the end of their appeals who could be given an execution date. Wow! Why dont they have dates yet? I figured with such a big time conservative gov like scott they would be set ASAP. A ruling Monday by the U.S. Supreme Court could mean the end of condemned murderer George Trepal's court appeals. The high court will review his case today and decide whether to hear his appeal for a new trial. 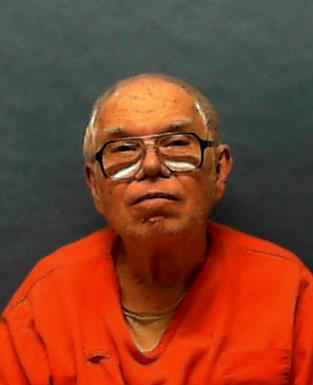 Trepal, 64, was convicted and sentenced to death in 1991 for killing his Alturas neighbor by poisoning her cola. If the court rejects his case, Trepal will have exhausted his court appeals, said John Lucas, spokesman for the state Attorney General's Office, in June. He wasn't able to provide an update Thursday. The high court has no obligation to hold a hearing in his case. Trepal's case then would go to the Florida Parole Commission, which would initiate a clemency review. If clemency is denied, Gov. Rick Scott could sign a death warrant. Trepal's state-funded lawyers, who couldn't be reached for comment Thursday, are asking the high court to review a ruling by the 11th Circuit Court of Appeals in Atlanta, which ruled last June that questions concerning testing at the FBI's crime lab didn't affect the jury's verdict in Trepal's 1991 trial. The Atlanta court upheld a state court ruling not to give Trepal a new trial, stating that any problems with FBI analyst Roger Martz's lab analysis were minor. "We are convinced that, if any falsities in Martz's testimony had any effect at all upon the jury, it was slight," the panel of three justices wrote in the 11th Circuit opinion. "We conclude that it was harmless. "The portion of Martz's testimony that was challenged was just one narrow part of the state's strong case against Trepal, and any falsities in Martz's testimony were narrower still. Although Trepal belittles the abundant evidence against him at trial, the Florida courts properly characterized the totality of the evidence as ‘strong,'" the appeals court said. In February 1991, a Polk County jury deliberated about six hours before finding Trepal guilty of poisoning his neighbors by lacing their Coca-Cola with thallium, an odorless, tasteless chemical used in rat poison, according to evidence in the trial. Peggy Carr, 41, died in March 1989, five months after drinking the cola. Six members of her family fell ill but survived the effects of the poison. Trepal, a chemist, was arrested a year later after Polk sheriff's Detective Susan Goreck went undercover and befriended him, gaining access to his Alturas home. Authorities found a bottle containing thallium in his detached garage. The same jury that convicted Trepal voted 9-3 to recommend the death penalty, and Circuit Judge Dennis Maloney sentenced him to death in March 1991. Trepal never confessed to the crime and has maintained his innocence in the 22 years he's been on Florida's death row. Since his initial conviction, appellate courts repeatedly have rejected his appeals for a new trial. In today's United States Supreme Court orders, Trepal's petition for a writ of certiorari was DENIED.